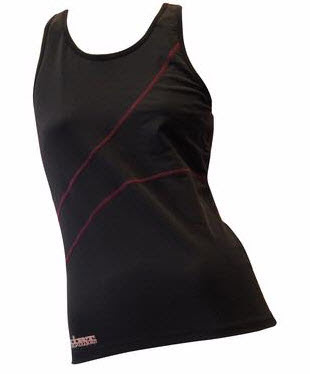 It seems my quest for finding appropriate performance tri apparel for the "Athena" sized athlete (that's what they officially call us larger-than-average competitors) is never-ending. FYI: Men are called "Clydesdales". I'm always looking for that slightly more generously cut top or shorts. Make no mistake, it's not just about looking good, but there is something to be said for feeling more confident and being taken more seriously when you have the right gear. From swim to bike to run to post-race spirited beverage, no distance is too great to travel in our TRI Tank! This top is form-fitting with a built-in bra and racerback sass. Women die for the interior bra pocket. No more chafing when you slip your gel into Cleavage Alley! This top ingeniously hits just below the waistband of the TRI Bottoms and it won’t ride up your tummy. Pair it with the TRI Bottoms and RaceBelt Skirt and smile for the flashbulbs at the finish line! * Silky swim-friendly fabric has UV protection! 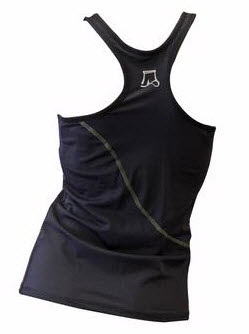 For my first solo tri (last Summer) I had tried to get a tri tank from Skirt Sports. First, I will tell you they are the nicest!. Somehow I was able to order a top in an XXL which was no longer available and they called me immediately and apologized. They were very sad they couldn't provide the top for me. 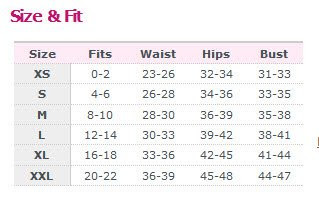 I was sad because after reading 1,0001 size charts I was hopeful it would fit nicely and perform appropriately. It's just a constant challenge because I'm right on the cusp... ugh. Anyway, I'm waiting for this top now. Today I'm meeting with the swim coach and I'm excited about learning how to fine-tune my swim stroke. I don't need to finish in lightening speed, but something respectable would be nice. It's gone from being almot 80 degrees earlier this week to 43 degrees when I left the house this morning... I went from wearing sandals back to Uggs in just a couple days! The weathermen keep threatening with rain, but I'm hoping to be able to sqeeze in a ride tomorrow. 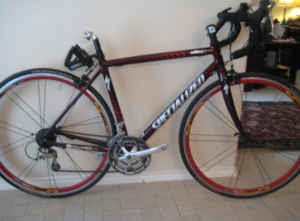 Otherwise I'm going to do a swim/bike brick at the gym, and use spin for the bike. No other plans for the weekend, other than the laundry, shopping, chores and gym. Was your TSH too high or something? I would also be hesitant about lowering the dosage... how do you *feel* overall? Good energy and all that?